"Kane is dead, a new threat has emerged." Released in 2000 Firestorm was praised for it's new content and upgrades to the gameplay. 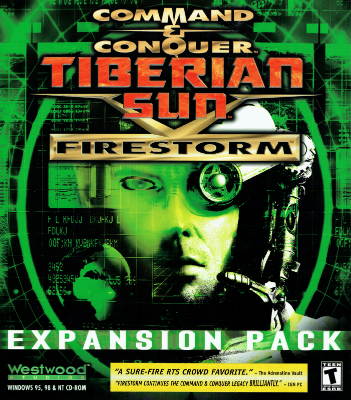 Firestorm was different from the expansions of the previous C&C games. 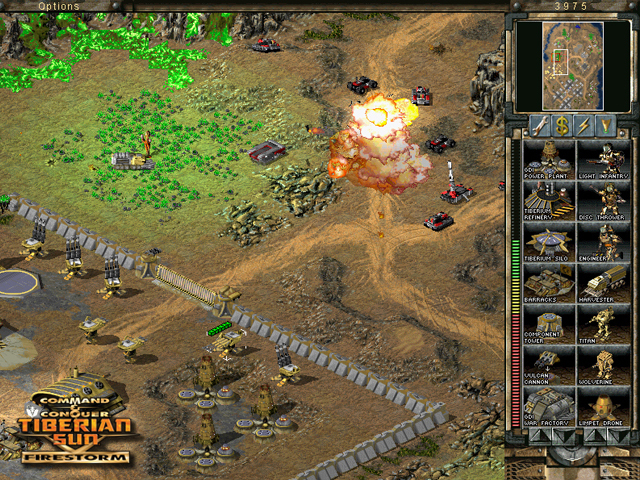 In addition to introducing new units, buildings, maps and music it continued the story from where the main game left. With the GDI and Nod story arcs running for the most part in parallel. 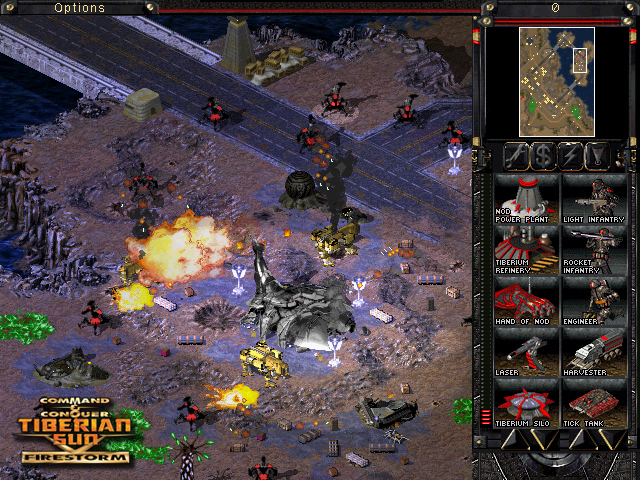 The Second Tiberium War has ended or has it? Kane has been killed, but yet again his body is never recovered. 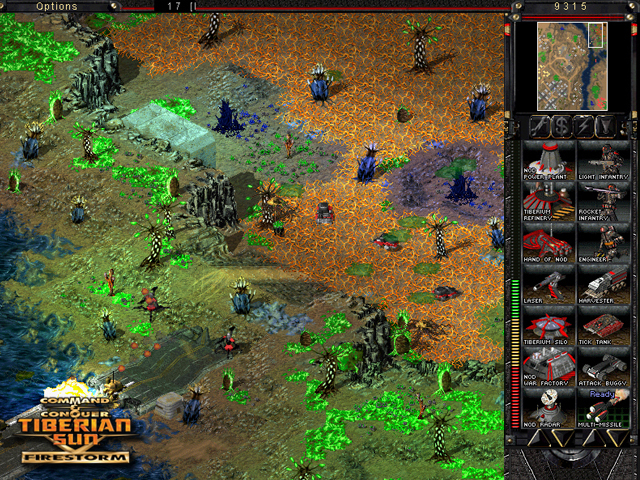 The threat of Tiberium is still present and stronger than ever. What was perceived as the saviour of humanity has shown its true colours. 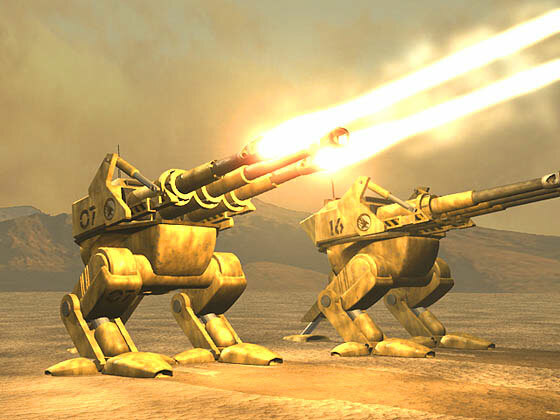 Humanity's last hope lay in the hands of GDI and their Mutant allies who are doing the best they can to decipher the Tacitus, a mysterious alien artefact recovered from the Pyramid of Nod, a matrix containing vast amounts of data. 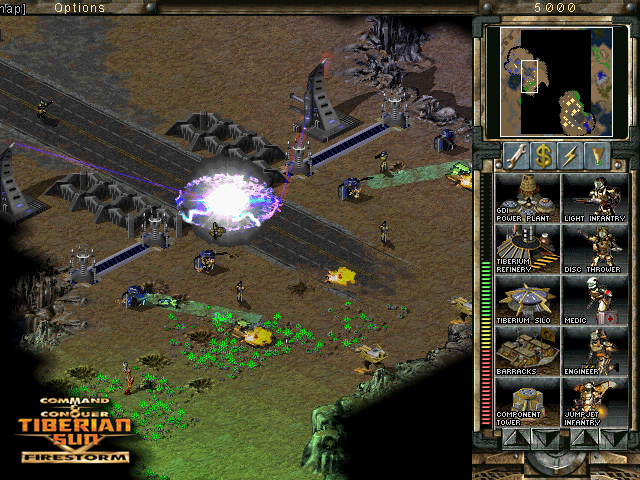 From Tiberium weapons to biological weapons to spacecraft, possibly even how to control and manipulate Tiberium itself.